For a time, the proliferation of new National Heritage Areas seemed unstoppable. What had been 3 in 1987 became 17 by 2000 and 49 by 2010, but then the designations came to a full stop. Concerns over financial costs, property rights, and the ability of the National Park Service to absorb growing partnership responsibilities stemmed the tide. Bills for new heritage areas were introduced year after year, but nothing came of them. That is until this year when, with surprising speed and overwhelming majorities, the Senate and House passed a large packet of public land measures – the Natural Resources Management Act. This bill is already being celebrated and rightly so for permanently reauthorizing the Land and Water Conservation Fund,creating three new national monuments, expanding park boundaries and so on. 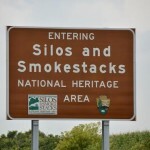 What has been less discussed in the over 600 pages of legislation is the designation of 6 new National Heritage Areas. Many of these areas have been waiting in the wings for over a decade. Many have been acting like heritage areas and now will receive the seal of approval. What is also of significance is that four of the six new areas are from the west. This helps re-balance a program that traditionally has tilted toward the east coast. 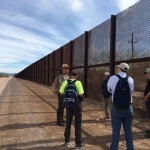 In addition to the new designations, the bill extended the funding authorization or increased the funding authorization for nine of the older areas. This issue has been a point of contention for years. 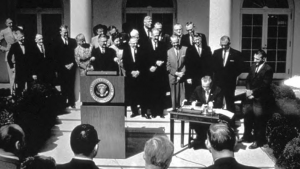 Unlike national park units, national scenic rivers, or national trails, national heritage areas were only authorized to receive a set amount of funding for set period of time. This has led to struggles similar to those experienced by the Land and Water Conservation Act and the National Historic Preservation Act whereby funding or program authorization reached an expiration point requiring much time and effort to ensure re-authorization. The extensions for the nine areas is not a long term solution, but it does keep the nine existing areas in business to fight again another day. In the long run what is needed is program legislation that will resolve these issues for ever and a day. Such legislation has been introduced in Congress after Congress, including this one, but has yet to make it to the finish line. See the 2014 article in the Living Landscape Observer Why do we need Program Legislation for National Heritage Areas?. Sadly, it is still relevant today. After advocating for more than ten years, Washington State is very proud to become the first national heritage area devoted solely to maritime history. 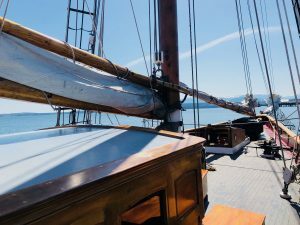 The Washington National Maritime Heritage Area will honor the state’s history from the canoe cultures, to maritime exploration and trade, the early Mosquito fleet ferry system, boat building, lighthouses and more. Let’s meet all six of the new areas. It is not news that we need a global conversation on how to integrate the conservation of cultural and natural values on the landscape. This has been an on-going discussion for decades. However, in the last couple of years the dialogue has gained momentum. 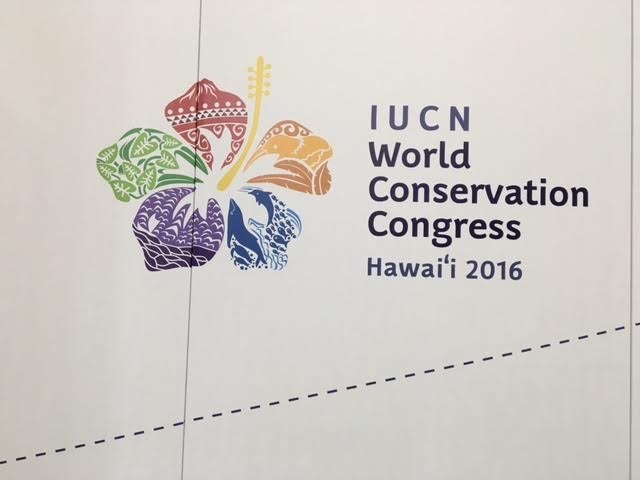 At the IUCN-sponsored World Conservation Congress in Hawai’i (September 2016) a purposeful Nature/Culture Journey was launched to bring together the best ideas on the topic. This dialogue was then continued with a more explicitly cultural focus at the ICOMOS General Assembly in Delhi (December 2017). In November of 2018, US ICOMOS took the next step by sponsoring the symposium Forward Together: A Culture-Nature Journey Towards More Effective Conservation in a Changing World at the Presidio in San Francisco. The gathering brought together experts from six continents and 15 countries to share a range of ideas on better integrating culture and nature on the ground. 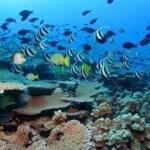 The goal was development of actionable strategies for more effective and sustainable conservation. The overriding importance of adopting a landscape approach for the conservation of cultural and natural resources — from urban to rural places. There is increasing understanding that the concept of heritage is centered in a dynamic landscape. For this reason, it is critical that we adopt strategies that recognize and adapt to this reality. The field of conservation must adopt a landscape scale approach to address the urgent issues facing our planet particularly our changing climate. Challenges remain in defining and protecting cultural landscapes – in particular thos landscapes with ethnographic values. A better understanding of collaboration and other soft skills are critical to landscape scale management. 2. 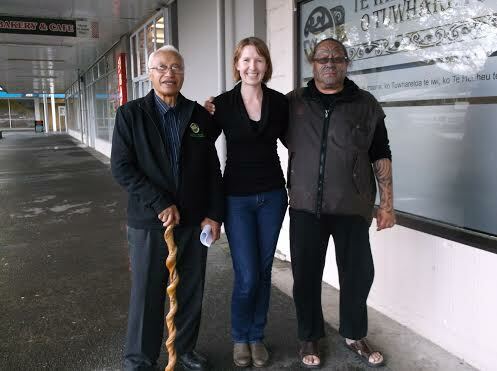 The recognition of intangible heritage and diverse perspectives is essential to integrated conservation strategies. It is essential to focus on both the cultural and spiritual meaning of nature. People are at the center of this issue and only by honoring their world view and their work up can we make a difference. Conservation strategies that integrate these values demonstrably improve conservation outcomes. 3. Building resilience, adaptation, and sustainability for urban and rural landscapes. Climate change is profoundly impacting both nature and culture and there may not be much time left. As demonstrated at the conference, there are many locally based initiatives to create more resilient places by blending nature and culture and employing traditional practices or adapting those practices to new conditions. These strategies to make the landscape more resilient need to be shared and linked to for maximum effectiveness. 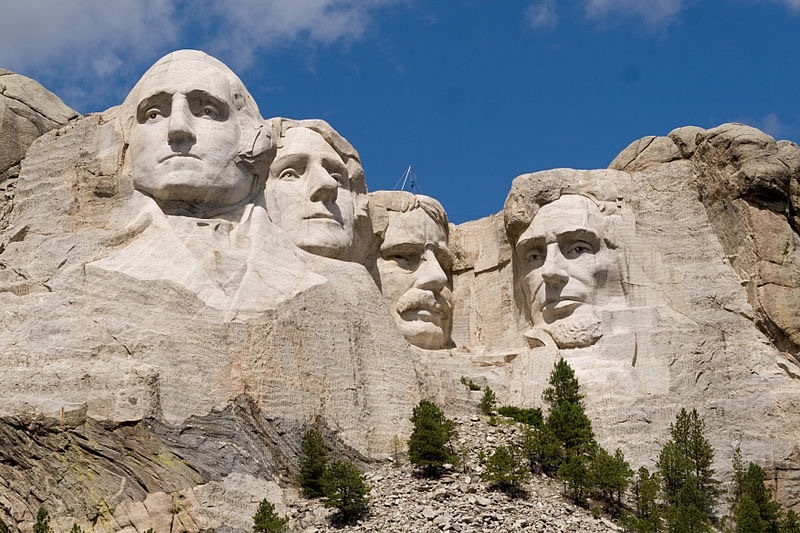 The US was once a leader in the World Heritage program and despite changes in government policies, the interest in designation has never been higher. 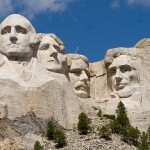 It is now understood that in the United States every World Heritage site has a cultural component. A strategy to engage local communities as well as the traditional users of World Heritage Sites should be a component of every location. Taking a landscape scale approach is a strategy to manage serial nominations. The meeting opened with a distinguished plenary panel included Mechtild Rossler, by video from UNESCO in Paris, former US National Park Service Director Jon Jarvis, and Stephanie Meeks President of the US National Trust for Historic Preservation (NTHP). The speakers mused about their personal awakening to the importance of understanding the unity of culture and nature. Former NPS Director John Jarvis related his experience working in Alaska and Stephanie Meeks noted her shift in perspective coming from the Nature Conservancy to the National Trust. Also, on the panel representing ICOMOS was Kristal Buckley and representing IUCN, Tim Badman both of whom reported on the commitment to working together on this critical issue. In listening to the presentations and the subsequent discussion, symposium attendees were struck by the work that is going on “out there” and how it has been localized and adapted to meet community needs. The usefulness of merging the two perspectives is bubbling up from practice in the real world. However, there is a need to develop more informed policies in region of the globe and strengthen the understanding of local governments. It was noted that the fields of culture and nature are divided from the top, but not from the bottom. Taking an integrated landscape approach seems to be delivering better conservation outcomes, but there many opportunities to make the work more effective. With only 160 attendees at the symposium, it is fair to ask who is not in the room? There is a need to include more representation from nature conservationists. Also, a stronger commitment to social justice and equity. Another sector that might make a meaningful contribution is that representing the arts and humanities. Overall conference goers were impressed by the enthusiasm and vitality of the conservations. All agreed that the strong presence of young practitioners and students gave the event a lot of energy and a feeling tha what we are doing is very important for our shared future. Everyone looks forward to the next steps , which include a declaration of the symposium’s top level findings and publication of the papers presented at the event. In conclusion, recognition should go to the symposium’s dedicated Program Committee. Team members included Committee Co- chairs Nora Mitchell, who serves as a trustee of US ICOMOS, and Jessica Brown who has worked with IUCN on Protected Landscapes for many years. Also, on the team were Brenda Barrett and Archer St. Claire Harvey, both trustees of US ICOMOS. Special thanks to Amanda Shull US ICOMOS member and past participant in the organization’s International Exchange Program and of course US ICOMOS staff – Executive Director Jane Seiter, former Executive Director Bill Pencek, Membership and Communications Manager Jenny Spreitzer, and exceptional volunteer from down under Lilly Black. Read here for additional information on the Forward Together event. 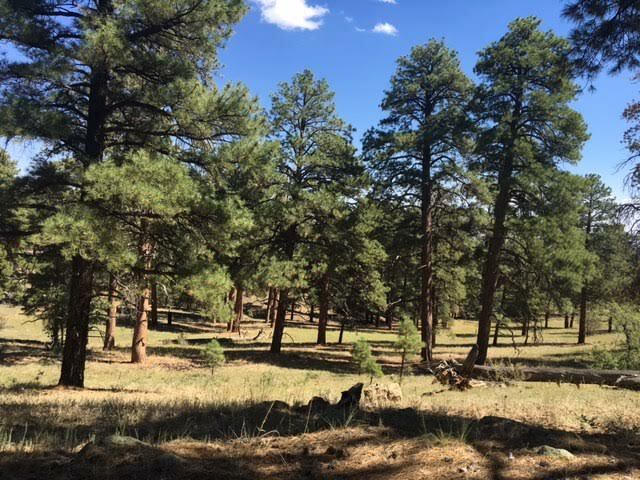 One of the pleasures of my summer vacation, visiting parks on the Colorado Plateau, was re-reading the 1968 classic by Edward Abbey Desert Solitaire. As always I enjoyed his lyric and intensely personal descriptions of the desert and his sketches of such characters as morose cowboys and a moon-eyed horse. But this time I was struck by something I had never noticed before, the book offers a glimpse into the future. So what did Abbey, seer of the desert, foresee? 1) The looming tragedy of the Glen Canyon Dam – Alright this one was not too hard to predict. One of the book’s most enjoyable chapters is the author’s leisurely raft trip down the Colorado right before the completion of the dam that would forever drown this stretch of the river. 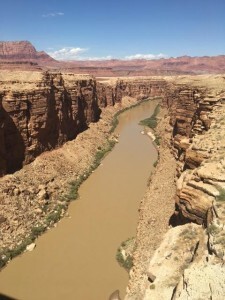 Calling out the project as a silt trap and an evaporation tank, he bemoaned the irony of calling the lake created by the dam after the great river explorer – John Wesley Powell. But perhaps Abbey could not have foreseen that just 50 years later there are serious proposals to open the gates of the Glen Canyon Dam and let the river run free at least through the Grand Canyon. Or perhaps he might have said – I told you so. 2) Reimagining our National Parks – For me Abbey’s most revelatory thoughts addressed the desired future state for our National Parks. As a park ranger in the late 50s -60s, he was horrified by the onslaught of motorized industrial tourism and the policies of an agency he sometimes refers to as The National Parking Service. But all his writing is not negativity, he makes some very concrete recommendations. 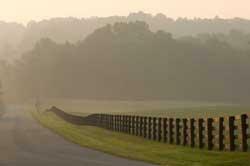 One -No more cars in National Parks. He proposes that the service repurpose existing roads for walking, bicycles and even buses if you must. For example, he notes how this would vastly improve the visitor experience in Yosemite, which he describes as a “dusty milling confusion of motor vehicles and ponderous campers”. Two -No more road development in parks. Three -Put rangers to work not selling tickets or filling out forms, but leading the public into the outdoors to enjoy the wonders of an unfamiliar carless word. This summary does not do justice to his ideas some of which are laugh out loud funny. However, I know Abbey would be glad to see his idea of banning car put into action in places like Zion National Park and in parts of the Grand Canyon’s South Rim. As for his thoughts on new roads and ranger, well for better and for worse, budget short falls have taken care of those action items. He expands on this theme noting that few civilizations are able to hang on to personal liberty for their citizens. And he goes on to predict that places like national parks could serve as centers of insurrection. While it might be tempting to draw some parallels to current events, See Park Rangers to the Rescue, one prediction Abbey got wrong was who would be on the front lines. 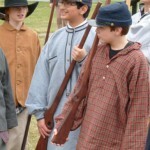 He speculated that the insurgents might be made up of self-sufficient types farmers, cowboys, and woodsmen. 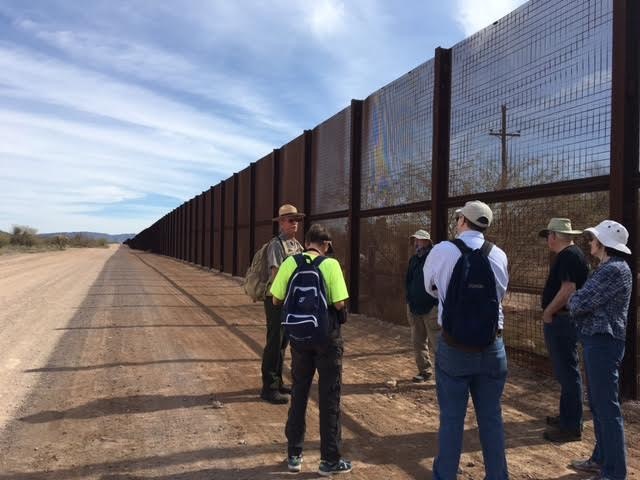 It has not turned out that way – the protesters in my experience are more likely to be 60 something year-old women – like the one I met on a Roads Scholar bus trip to the Grand Canyon wearing her Alt NPS Tee shirt. Time to work the phones, barricades can come later. Every two years protected area managers, scientists, and every kind of experts on cultural and natural heritage gather at the George Wright Conference to present papers, engage in lively discussions and swap professional gossip at the bar. I always find these meetings to be the place to spot emerging ideas and trends in the field. For the 2017 conference titled Connections across People, Place and Time, I journeyed to the conference location in Norfolk VA with my attention focused on what is ahead for the large landscapes movement. The answer: It is headed to the top of the charts. The conference’s opening session was titled “Making the Big Connections: The Future of Conservation on a Landscape Scale”. And it featured two of the preeminent leaders in the field of connectivity conservation, Harvey Locke, Co-founder and Strategic Advisor of the Yellowstone to Yukon Initiative and Gary Tabor, Founder of the Center for Landscape Conservation. They spoke about the vast scale needed to conserve migratory wildlife and of the critical need to work on a large enough canvas particularly as climate change disrupts our natural systems. For example, the Yellowstone to Yukon worked to identify bottlenecks to species movement and facilitate targeted land acquisition in this 3,500-kilometer corridor. Both speakers proposed that this big picture strategy needs to go global and that to thrive nature needs half. The need for a dialogue between the disciplines of culture and nature is now out in the open and landscapes are an important place of intersection. As one speaker noted “Culture is the pathway to the conservation ethic”. 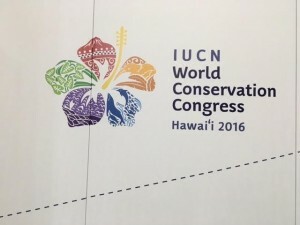 One session reprised some of the highlights of the Nature Culture Journey at the 2016 World Conservation Congress in Hawaii where there were over 60 presentations on the topic. Most interesting for someone not inside the National Park Service (NPS) was the inclusive tenor of the recently issued NPS Director’s Order 100. It states that 21st century resource stewardship requires coordination between natural and cultural resource programs and follows up with a host of proposed action to achieve such integration. A long time attendee, grasping the full scope of the order, said to me “ I have been waiting my whole NPS career for this”. There were a good number of sessions on nature in the city. 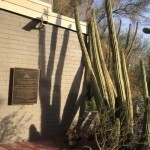 These included initiatives in Chicago, Portland, and Tucson. Many of these efforts are linked together by such groups as the Metropolitan Greenspace Alliance who’s tagline is “Nature is not a place to visit it is home” and Natural Neighbors which works to promote metropolitan and regional conservation alliances. And it is not just about nature. 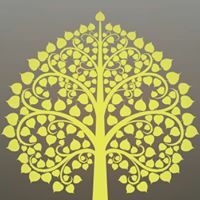 The Natural Neighbors web site identifies the importance of cultivating a community’s sense of belonging and of civic responsibility by valuing a region’s history and culture, as well as its natural environment. And one more thing, the NPS Urban Agenda is making a difference. For example, every year the George Wright Society sponsors a prestigious program for graduate students called Park Break Program. This is an all-expenses-paid, park-based field seminar for graduate students who are thinking about a career in park management or park-related research and education. In 2016, the Park Break seminar was held in Detroit a place without a traditional national park unit to serve as home base. Under the direction of the city’s NPS sponsored urban fellow, the students tackled research on the cultural heritage of the city. This the way to develop 21st century protected area managers! The George Wright Society has a strong commitment to ensuring that indigenous voices are represented at the biannual conferences. The organization puts it money where its mouth is by offering travel grants for participation by indigenous people from Canada, Mexico and the United States with the goal of encouraging discussion on parks, protected areas, and cultural sites. More than any other professional gathering I have ever attended, the George Wright meetings weave together indigenous viewpoints as part of opening ceremonies,the plenary presentations, the conference sessions, and at special events and receptions. This year taking advantage of the conference location in the Mid-Atlantic, there were a number of sessions on the innovative work being done to better understand the deep time depth of the human occupation of the Chesapeake watershed. Many thanks to Chief Ann Richardson and Chief Stephen Adkins for their perceptive presentations placed their people in this landscape in the past through to today. Sessions and discussions included contextualizing the recently designated national monument Werocomocco and an update of the Indigenous Cultural landscape approach to the home land of the Rappahannock people on the eastern shore of Maryland. 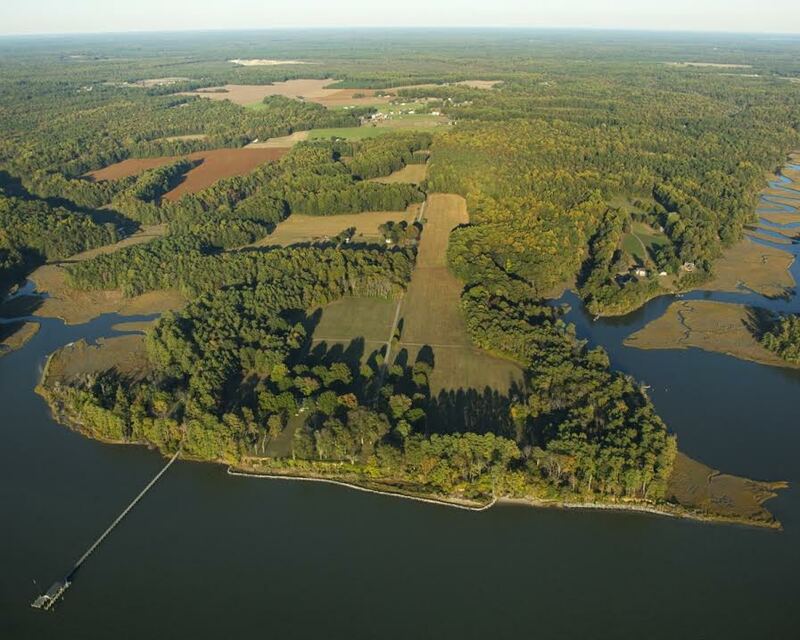 Read the full report on Defining the Rappahannock Cultural Landscape. Finally, and not directly related to large landscape practice, I was struck by the number of presentations that focused on the history of protected area management. Perhaps it is the current state of the nation, but attendees were seeking solace in lessons from the past. 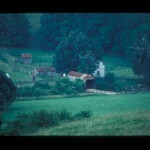 For the large landscape movement, this conference seemed to confirm that the time is now. As noted in NPS Directive 100, land and seascapes need to be managed to sustain biodiversity and viable ecosystems as well as to be managed in such a way as to understand the resources larger thematic and geographic context. However, when we look back on this moment in fifty years, will we see this as a break through moment or the beginning of a long slide down hill? Listening to Zinke: The Landscape Ahead? At his confirmation hearing on January 17, 2017, Representative Ryan Zinke (R MT) spoke up before the Senate Environment and Energy Committee and shared his vision for the position of Secretary of Interior. The leadership of the Department of Interior is central to the future of protecting the nation’s landscapes. Those who care about conservation at scale, protected areas, and our cultural heritage were listening carefully to what he had to say. The first is to restore trust by working with rather than against local communities and states. I fully recognize that there is distrust, anger, and even hatred against some federal management policies. Being a listening advocate rather than a deaf adversary is a good start. Second, is to prioritize the estimated $12.5 billion in backlog of maintenance and repair in our national parks. The president-elect is committed to a jobs and infrastructure bill, and I am going to need your help in making sure that bill includes shoring up our Nations treasures. And third, to ensure the professionals on the front line, our rangers and field managers, have the right tools, right resources, and flexibility to make the right decisions that give a voice to the people they serve. 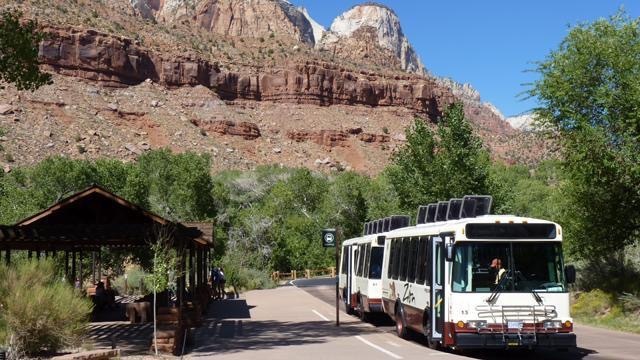 For National Park advocates, his words held out real hope that promises on the campaign trail about infrastructure investments might be turned into real benefits for our aging park system. Although Zinke added a dose of reality, stating that while it is his job to convince the new president that parks should be high on the administration’s agenda, congress needs to step as well. And he asked for the committee’s help in getting the necessary funds to tackle the backlog. Drawing on his military background (he served for 26 years as a Navy Seal) he noted, “we can fly the helicopter, but you must supply the gas”. At the hearing Representative Zinke stated his unequivocal support for keeping public land public. When specifically asked, he stated, “I am absolutely against the transfer or sale of public land”. It should be noted that he has put his money where his mouth is on this issue. Last year he left his post on the GOP platform writing committee, after the group included language in support of transferring federal lands to the states. These are positive indicators, but one of the big questions both in the hearing room and on everyone’s mind is his position on the Antiquities Act and more specifically the recent Obama administration’s designations in Nevada and Utah. 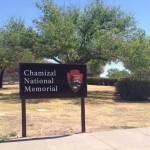 When queried, he said that the better way to designate national monuments is with the support of the adjacent communities, the states and congressional delegation. On the question of whether recently designated monuments could be de-designated, he said that was for the lawyers to decide. And under questioning, he agreed that no such process explicitly described in the act. However, he has already committed to visit the 1.35 million acres of federal land that make up Bears Ears Butte in southeastern Utah and about 300,000 acres of Gold Butte in Nevada, northeast of Las Vegas. These recently designated monuments are exemplars of the scale need to conserve our natural and cultural heritage. How the department position on these iconic western landscapes will be an important signpost for the future. On hot button issues Zinke tried to strike a measured tone. When asked about renewable energy and traditional energy development on public land, he said “all of the above’ and expressed his support for a strong economy and energy independence. On climate change he agreed that the climate is changing, but did not attribute any definitive causation. 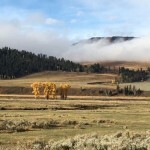 All things considered, conservationists should take heart from Zinke’s opening words at the hearing: Upfront, I am an unapologetic admirer of Teddy Roosevelt and believe he had it right when he placed under federal protection millions of acres of federal lands and set aside much of it as National Forests. Today, much of those lands provide American’s the opportunity to hike, fish, camp, recreate and enjoy the great outdoors. But here are some concluding thoughts. In the next days and months, the Department of Interior will be flooded with political operatives and representatives of energy development schemes all seeking to catch the ear of the new Secretary of Interior. 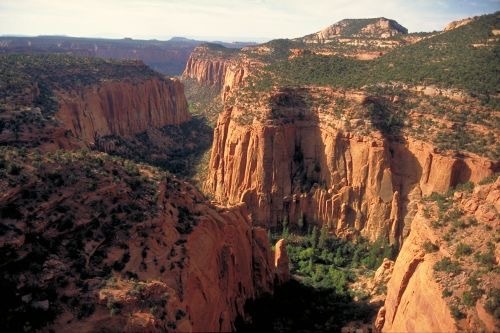 They will not be interested in the words of Teddy Roosevelt or the values that public lands offer the American people. Representative Zinke needs to hear loud and clear that his vision is strongly supported by land conservationists, sportsmen, heritage areas managers, and everyday citizens or his department will be swamped by competing agendas. Oh Give me a home where the buffalo roam” goes the old cowboy song, but the fact that 21st century citizens can still enjoy the star of this song was a very close call. According to the U S Fish and Wildlife Service estimates of the North American bison population at the time of European contact range from 30-75 million animals. However, by 1900 intensive hunting and a purposeful program of eradication to deprive American Indians of their livelihood had reduced the population to near extinction. At that time Yellowstone National Park counted only 25 bison in residence. 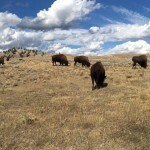 Thanks to a citizen’s campaign, Congress allocated funds to purchase 21 additional animals from private sources and begin a breeding program at what is now known as the Lamar Ranch in the park’s Lamar Valley. This is a success story. Today over 4,000 bison roam the range in Yellowstone National Park and they are a character defining part of the landscape. 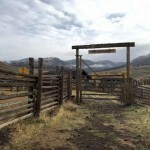 The evocative Lamar Buffalo Ranch, with its quintessential weathered western buildings (1905- 1930), is listed in the National Register of Historic Places. 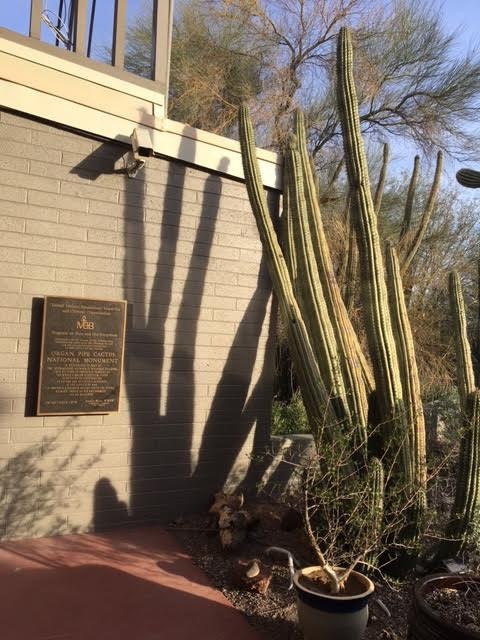 Visitors who stop by the ranch can get a short history from an interpretive sign. 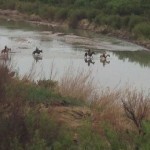 But less well known, is the role the ranch played in the reintroduction of wolves to the park. The last wolf pack in Yellowstone National Park was eliminated in 1926. Again after a long campaign and much controversy, Congress appropriated the funds for a reintroduction program. In 1995, thirty-one Canadian Grey Wolves were brought to pens at the Lamar Buffalo Ranch to acclimatize to the park before being released. Today there are approximately 100 wolves in the park with many of the packs concentrated in the rich hunting ground of the Lamar Valley. The ripple effect on the elk herd specifically and the park’s ecosystem overall of the introduction of a top predator is fodder for another story at another time. I would like to make a different point. Millions of tourists come to Yellowstone every year. Thousands of them line the roads through the Lamar Valley – getting up at dawn and watching for hours to marvel at herds of buffalo and to catch a glimpse of a wolf. 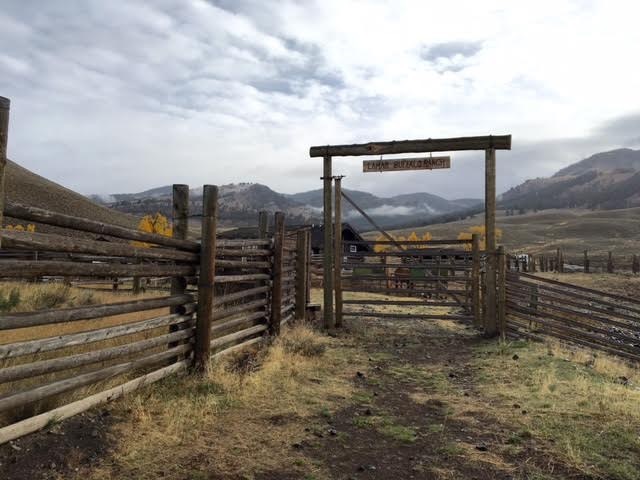 The Lamar Buffalo Ranch now serves as an education center for the Yellowstone Association and the buildings have been restored as models of off the grid environmental stewardship. But I wonder how many understand the full story of human intervention into this place. Preventing the American Bison from disappearing from this landscape took intense effort. 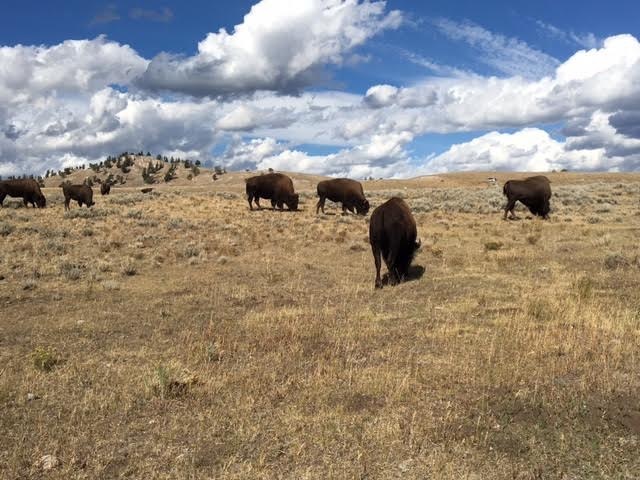 As for the Lamar Buffalo Ranch, the park web site describes the work that took place there in the following terms, “ A program to raise bison like domestic cattle in Yellowstone may seem incongruous and unnecessary in retrospect..” I am not sure that is how I would tell the story. 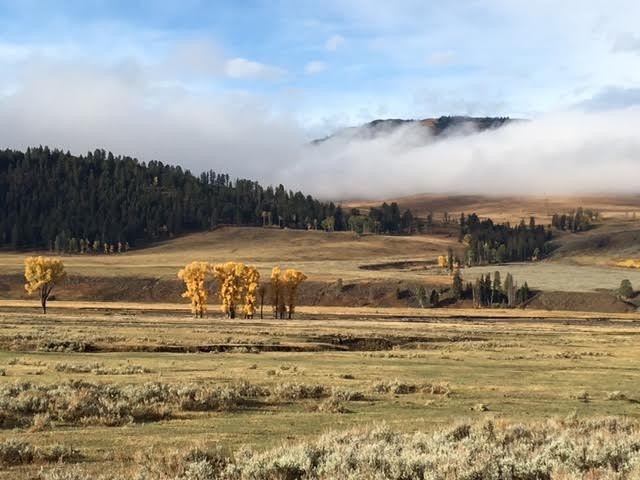 Yes, yes the vista of grazing herds in the Lamar Valley may seem so natural us today that we may think it always looked that way. And yes, we may want to repress the role that humans played in wrangling bison back into the landscape, let alone the tale of how we slaughtered the millions. But that would be a mistake. And as for the wolves, the reintroduction is still so controversial that the park’s web site looks like the docket of a small claims court of environmental justice where wolves are listed and delisted as endangered species with head snapping frequency. 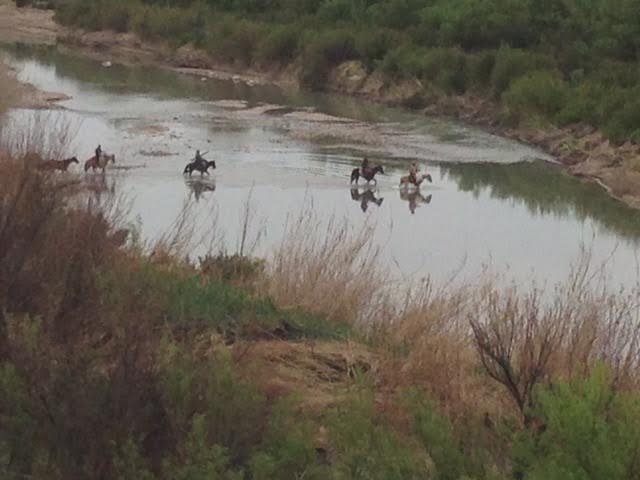 The role of the Lamar Buffalo Ranch in the wolf story has not yet even made into the official history. 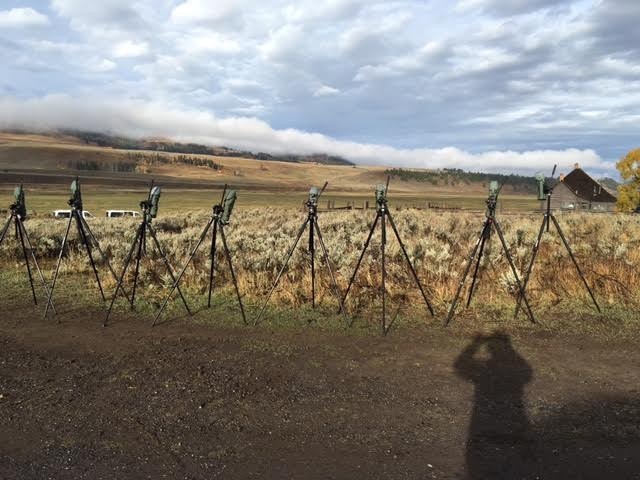 But when you go to Yellowstone (and I hope you will) head to the Lamar Valley, stand in front of the ranch, and contemplate the role we as humans have played in creating and almost destroying the wildlife that we enjoy today. And know that nothing is static, and only continued advocacy and at times active intervention will conserve these landscapes for future generations. . 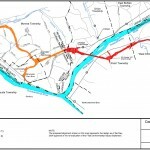 Recently I prepared a report at the request of the Greater Newport Rural Historic District Committee – whose National Register-listed district is one of several identified rural historic districts transected by the route of the proposed Mountain Valley Pipeline (MVP) across the Appalachians. My charge was to see whether the impacted districts met the criteria for a traditional cultural places” (or properties) – that is “TCPs” – per National Register Bulletin 38. In fact, the documentation were unenlightening even about why the districts were viewed as districts; the documentation was overwhelmingly about the individual buildings, structures and sites within the districts, not about the districts as landscapes, or as the “concentrations” and “linkages” to which the Register’s definition of “district” refers. Luckily, some very interesting and helpful studies had been done quite outside the context of historic preservation, about the “cultural attachment” that people in the area feel for their landscapes. 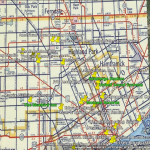 Applying the results of these studies to the districts, it became clear that they – or perhaps more likely a landscape embracing all or some of them – was indeed eligible for the National Register as a TCP. First, when one looks at a “district” nomination and finds a list of specific buildings, structures and sites, with little or no treatment of the spaces around them, it’s pretty easy to design a new project – like a power line or pipeline – right through the district and think you’re having no adverse effect on it, because your project doesn’t knock down or dig up a “contributing” building, structure or site. You may give some consideration to things like visual effects, but only on those “contributing resources.” The whole idea of the “district” as an entity gets lost. 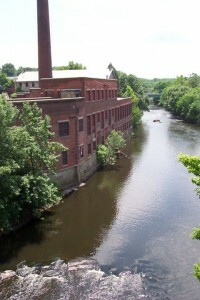 Second, when a district is characterized only with reference to its constituent buildings, structures and sites – with their significance defined, of course, by historians, architectural historians, and archaeologists – one has no basis for appreciating what makes the district important to the people who live there, work there, or otherwise experience the place. The significance of the district to the people who value it is effectively submerged. When a question arises about a planned project’s potential effects on the district, the concerns of those people can easily be denigrated, as long as one can assure the world that one is not going to muck with the architectural qualities of a building/structure, or the archaeological values of a site. So – the lesson I take away from this experience, and that I suggest to others, is: if you’re interested in preserving a place that’s important to you, and are encouraged to nominate it to the National Register or offer some representation about its eligibility, think carefully about what you call the place. If you call it a “rural historic district,” you may wind up with something that doesn’t help you much in terms of ensuring that the values you ascribe to the place are given due attention. If you call it a rural historic (or cultural) landscape or TCP you’re probably better off, but even then, pay careful attention to how whoever compiles the documentation describes the place. “Preservation professionals” may automatically slip into architectural and archaeological modes of thought when assigned to describe the historic and cultural qualities of a place. If you use such professionals, somebody needs to be looking over their shoulders to remind them to attend to the spaces around the buildings, structures, and sites, and particularly to listen to the people. And if you’re a preservation professional (or non-professional) responsible for writing up a place with reference to its National Register eligibility, get familiar with the “cultural attachment” literature – which has mostly been produced with little or no (or ill-advised) reference to historic preservation, but is very, very relevant. My full paper including key sources to the literature can be found here. 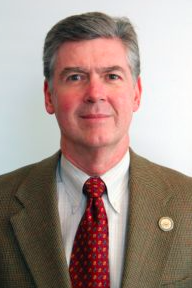 Thomas F. (Tom) King is the author, co-author, or editor of ten books on aspects of cultural heritage, and the co-author of National Register Bulletin 38 on the identification and documentation of traditional cultural places. He is a consultant based in Silver Spring, Maryland, and can be contacted at tomking106@gmail.com. This post was first published on the author’s blog CRM and is used with his permission. What happens when a highway project long planned to improve the functionality of the overall transportation system runs up against newer approaches of planning on a landscape scale? I recently spoke to this issue at the Pennsylvania Statewide Conference on Heritage (June 6-8, 2016 Lewisburg PA). 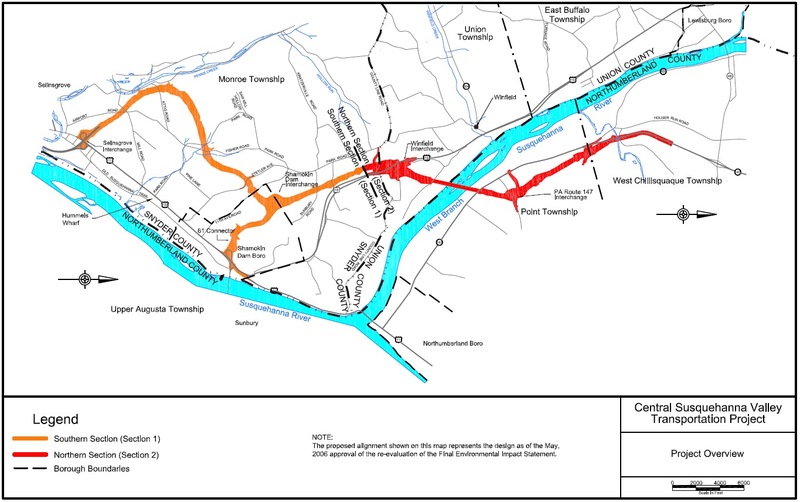 The project in question, the Central Susquehanna Valley Transportation Project (CSVT) , was under construction nearby and involved a bypass and a major new bridge crossing over the Susquehanna River. It was planned to remedy traffic congestion on the one of the state’s major north south corridors and reroute through traffic, particularly truck traffic, out of small towns in the region. But the project’s history was anything, but straightforward. Planning for the project began long ago with the Final Environmental Impact Statement on the selected alignment approved in 2003. After project design was underway, it was put on hold due to lack of funding. 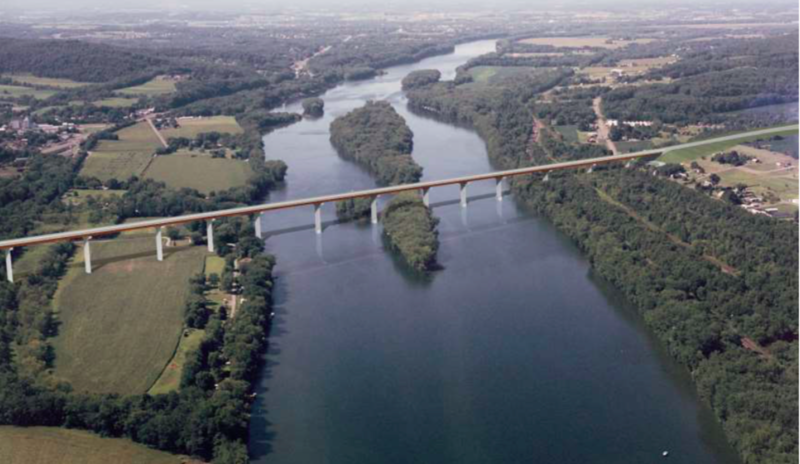 With the passage of a new funding package in 2013, the project was reactivated. However, during that ten-year hiatus ideas about the cultural and natural values in the region had undergone a substantial shift. The project now crossed through the Susquehanna Greenway , a 500 miles state greenway. This section of the river was now designated as a National Recreational Trail by the Secretary of the Interior. And most significantly, the river corridor was incorporated into the CaptainJohn Smith Chesapeake National Historic Trail. 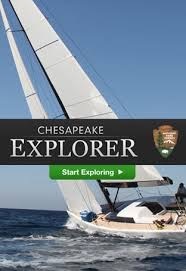 Originally authorized by Congress in 2006, its goals was to help the visitors to the Chesapeake Bay understand the significance of John Smith’s explorations and his impact upon the rich American Indian cultures and to appreciate and care for the life and landscape of this national treasure. 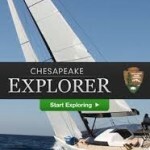 The trail now extends up the many of the tributaries of the Chesapeake in Maryland, Pennsylvania and Virginia. When long delayed construction of the CSVT was announced, all of these new designations brought new partners to the table seeking to conserve landscape scale cultural and natural resources in the project area – resources that had not even been envisioned in 2003. The traditional transportation planning approach had been to identify individual historic or archeological sites and the specific location of a threatened flora or faunal species and then avoid or mitigate site specific impacts. Now this whole approach was being called into question. 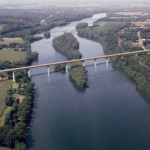 In the case of the CSVT compromises were negotiated and in particular minimization strategies were developed to reduce impact on the Susquehanna River crossing, provide additional public access, and offer more consultation on riverfront development in the future. But what about the next time? To begin with we need to recast our perspective to embrace a larger landscape approach. If the one of purposes of planning for infrastructure development such as transportation projects is to do so in a way that minimizes the impact on cultural and natural resources and maximizes the benefit to the public, then we need to stay abreast of the new frameworks by which these disciplines define themselves. Let’s start with Natural Resources. 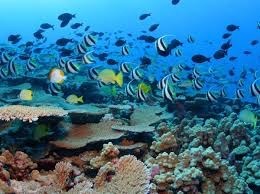 The field has long used an ecosystem approach, which understands the importance of the interaction of organisms with their wider physical environment. A recent report from the National Academy of Sciences on large landscapes tackled the central question of the best way to conserve the natural world noting that conservation challenges exceed the capacity of any single entity or protected habitat. Increased urbanization, extreme weather events, and fragmentation of habitat threaten both flora and fauna require that resource conservation take a broad landscape scale approach and build in connectivity for species to migrate and have room to range. So, it is not enough to avoid the spot where an endangered species was last spotted. What is needed is to predict where it is going, where can it thrive in the future. Things are also shifting in the world of Cultural Resources. 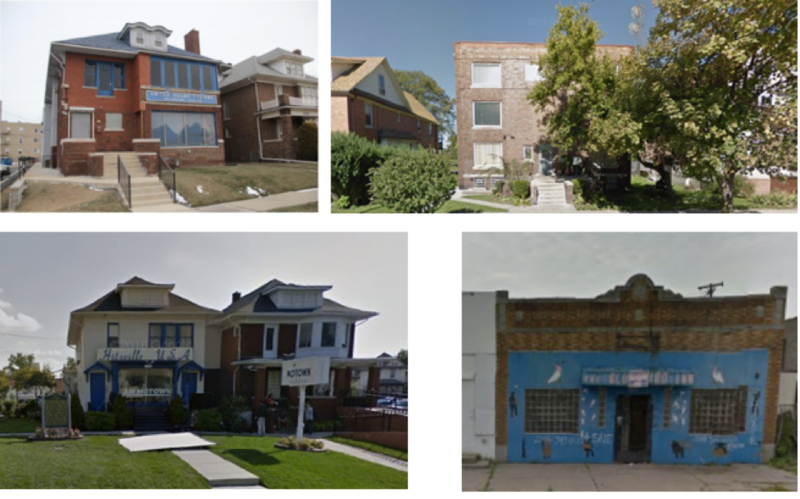 Historic preservation practioners know that that the discipline has moved from identifying individual landmarks to considering historic districts and now whole landscapes. The National Park Service has been a leader in calling for this re-examination of cultural landscape approach. Our commonwealth has also been in the forefront develop ing a comprehensive multiple property documentation for the Agricultural Resources of Pennsylvania, a good example of evaluating a complex living landscape. It is true that cultural resources are not going to migrate or fly away, but we need to accept that they are more dynamic and larger than our past concepts of what is significant. Cultural resources are best understood in a larger context that tells the whole story. 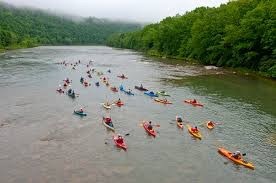 Finally, Recreational Resources are also being viewed through a wide angled lens.In the middle Atlantic many rivers and stream system are being developed into a statewide network of water trails. 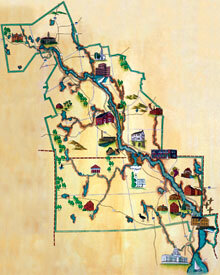 Former rail lines and canals are now the backbone of trail systems running for hundreds of miles across the state. And of course the National Park Service manages National Scenic and Historic Trails system that crisscross the whole country. The most iconic being the Appalachian Trail from Maine to Georgia and a chunk of PA in between. The connectivity of these resources is critical. Once a trail crossing is severed, it may be impossible or at best expensive to reconnect. This new larger perspective presents management challenges, but there are also new regional partnerships to help coordinate these regional geographies. For example, the commonwealth of Pennsylvania is fortunate in having a whole host of such organizations. 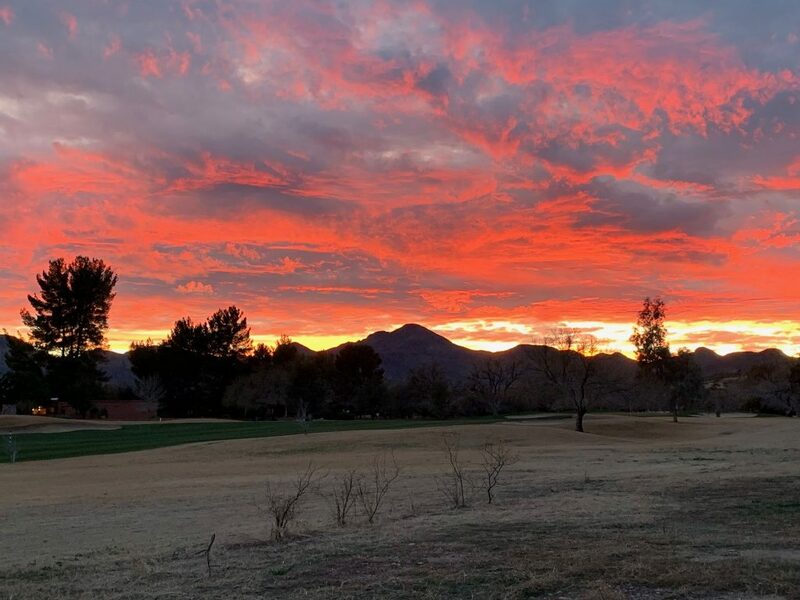 The list includes multiple National Heritage Areas and a robust state heritage areas with 12 designated areas dedicated to melding natural, cultural and recreational objectives along with community revitalization goals. The states’ Department of Conservation and Natural Resources has launched 7 conservation landscapes to drive strategic investment and actions around sustainability, conservation, community revitalization, and recreational projects. And the agency has taken a leadership role in statewide recreational resource planning. In addition, land trusts and other regionally focused land conservation groups have been expanding rapidly – a survey a number of years ago counted over 130 of such initiatives in New England alone as well as the newly launched “Practioner’s Network for Large Landscapes”. The National Academy of Science ‘s 2015 report identified over 20 federal programs that are utilizing a landscape approach in the Department of Interior, of course, but also in agriculture and defense. 1) Harness the power of big data – Big data is defined as large (or extremely large) data sets that may be analyzed to reveal patterns, trends, and associations, especially relating to human behavior and interactions. The good news is that this is an area where transportation planners have been early adopters using GIS mapping in particular. But more can be done, for example, adding the layers for rivers and trails, and other resources identified by partnership organizations. This will provide a leg up in project scoping. To get a taste of what these data bases can offer, take a look at the work of Landscope Chesapeake. A data base that shows all the public lands and privately protected areas, trails and access points and also links in the conservation partners and state program. What a great place to begin high level 30,000-foot infrastructure planning. 2) Harness the Power of Partnerships – While much talked about, this is not easy to accomplish. And It also can seem like a burdensome add-on to what is an already crowded project planning schedule. But let’s look at the practical side, effective public input or even better public engagement is both required as part of project planning and can make the project go more smoothly. Many of the heritage areas, land trusts, recreation organizations and conservation landscapes have identified significant resources and developed resource management plans with extensive public input. They know what is important to the impacted region. This is great way for infrastructure planners to identify potential challenges and opportunities as well as reaching many of people who live on the ground where a project is happening. 3) Harness the power of other programs – Everyone should take a lesson from productive partnership organizations and look for the sweet spots where multiple objectives intersect. And note – this does not mean that one partner pays all – success is when projects integrate public and private dollars along with volunteer energy to deliver better communities. So think outside the box who else might have a stake in the ground? A good way to start is with an interagency approach. Who else is planning something in the region how can their work be coordinated with infrastructure development? What is in their budget and how can dollars be leveraged? High level planning that is open to new ideas is one way of accomplish these ends. 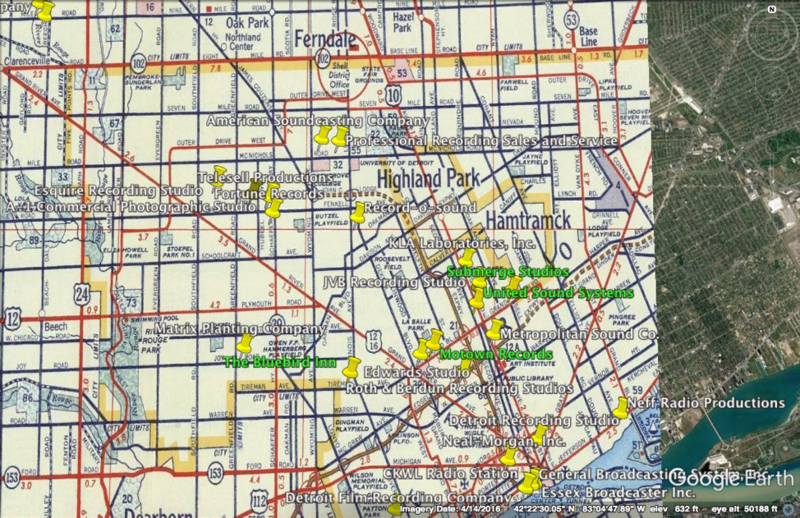 In conclusion, If I have one concern, it is that much of our planning in the past has zeroed in way too soon on way too small geography and then come up with the three least bad alternatives. Perhaps it would behoove us to spend a little more time in the stratosphere identifying partner and programs that can help everyone be successful and accomplish their respective missions. It’s rich political theater, watching the ongoing debate over a possible national park in Maine’s North Woods as well as the long-running efforts to resolve land-use practices on millions of federal acres in Utah. Boasts have been made, promises allegedly discarded, and no resolution in either state has been made. Seemingly ignored have been residents of the two states, as the politicians opposing a new national park in Maine and those opposed to a new national monument in Utah are ignoring majorities who have voiced support for both. About the only thing that has been assured through the sound bites, letter writing, and draft legislation is that neither issue will be resolved soon. 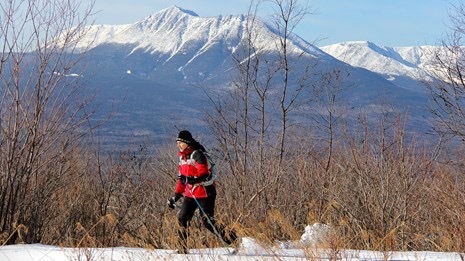 While the governor maintained there was lack of local support for a national park or monument, a survey last summer of the congressional district that would be most affected by creation of a Katahdin Woods and Waters National Park and National Recreation Area overwhelmingly voiced support for it. And according to the Kennebec Journal/Morning Sentinel, a recent statewide survey found that 60 percent of Maine residents support the idea. That said, the director added, there can be challenges and negative impacts associated with an NPS property. 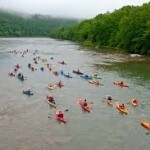 “The DOI (Department of the Interior) looks forward to the opportunity to better understand these and other issues as you continue to solicit public input and lead this option dialogue about how best to protect important resources within your communities, while recognizing the economic needs in the region. We also appreciate you sharing your thoughts on what you believe would be critically important considerations ranging from public access to private property rights, for your communities if the Federal Government received a land donation for a park or similar use,” he wrote. The politicians weren’t mollified, however, and took exception that Director Jarvis didn’t respond directly to their requirements concerning state and private property rights, access, logging, and recreational activities, as well as state management oversight for any monument.“These conditions are critical to ensuring that future economic activities in the Katahdin region are not stifled by burdensome regulations that upset the Maine tradition of multi-use working forests,” Sens. Collins and King wrote. Utah Public Lands – When U.S. Reps. 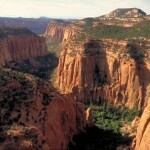 Rob Bishop and Jason Chaffetz last month released their long-awaited Public Lands Initiative for designating wilderness, releasing lands from wilderness consideration, expanding Arches National Park, and basically deciding how millions of federal acres in eastern Utah should be managed, they said there was a lot to like, and a lot not to like, in the draft legislation. Those who have found aspects not to like have been vocal lately. In their response to Rep. Bishop, the Grand Canyon Trust pretty much rejected the draft in its entirety. 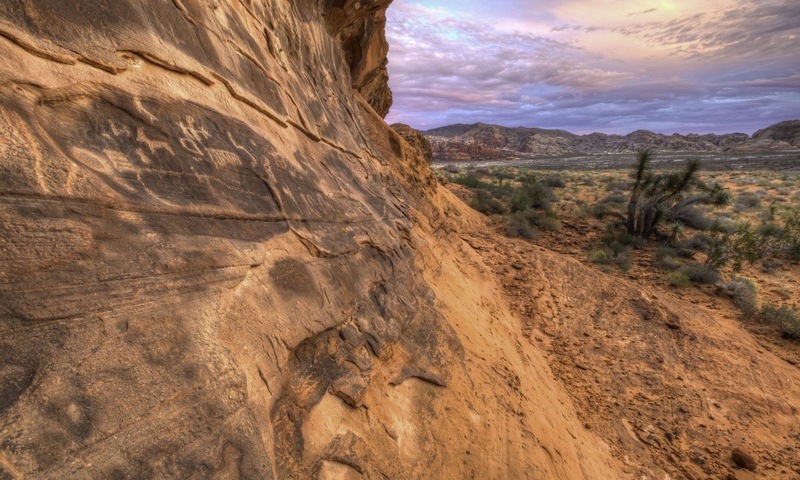 Our opposition is rooted in the fact that the PLI does not represent a positive, solution-oriented step toward resolving land use and land tenure matters in eastern Utah. Chief among the harms contained in PLI are: management language not found elsewhere in law that undermines new wilderness and national conservation areas; special management areas and canyon country recreation zones that weaken existing protections; release and hard release of millions of acres of deserving potential wilderness; disposal of lands far in excess of standards set forth by the Public Purposes and Recreation Act; a wildly unbalanced and unfair SITLA state land exchange; creation of “energy zones” in excess of 2.5 million acres where multiple-use land management principles are cast aside and the reality of climate change is unacknowledged; excessive grants of RS 2477 road claims and a Book Cliffs Highway corridor to the State of Utah; hobbling of livestock management necessary to conserve ecosystems and species; inadequate provisions respecting sovereign Native American tribes with regard to protection and management of the Bears Ears cultural landscape; and the stated goal of the authors of PLI to place limitations on the President’s authority to use the Antiquities Act of 1906. * The hard release of over two million acres of public land, much of it wilderness quality land that should be permanently safeguarded. 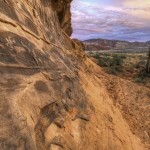 The PLI discussion draft, as it now stands, is a missed opportunity to resolve longstanding issues that deserve a more deliberative approach—one that fully assimilates input from stakeholders who have been historically invested in how these critical public lands should be managed and safeguarded for generations to come. If 65 percent support isn’t enough, how much is? This article was written by Kurt Repanshek Editor and Founder of the National Park Traveler and was first published on February 15th, 2016 in the Traveler’s Newsletter. Think long term – While the first official step is gaining a spot on the state parties tentative list; this is preceded by many prerequisites. 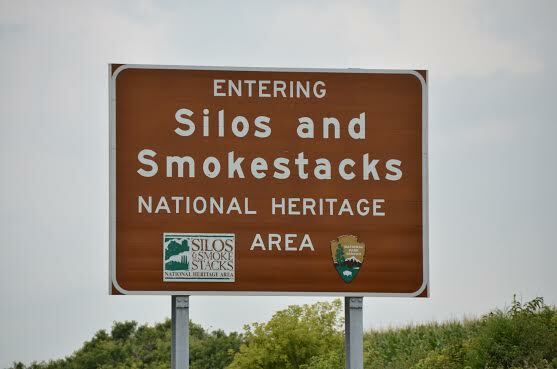 For example n the US cultural properties must first be designated as a National Historic Landmark. All this takes a good deal of time. 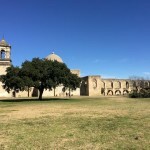 The San Antonio Missions were officially proposed for the World Heritage Tentative list in a 2006 Federal Register listing. 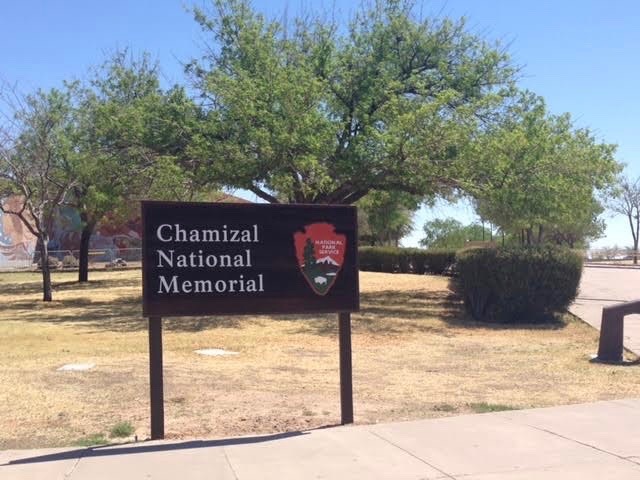 Seek Out champions –The International Office of the National Park Service (NPS) manages the development of the tentative list and in partnership the State Department determines, which sites will be proffered to the world body ICOMOS for consideration. There is no question that determined champions are critical. In the case of the missions the number of advocates was along one starting with the nationally respected San Antonio Conservation Societ . Also important were the San Antonio Missions National Historical Park’s friends groups Los Compadres. Finally, unified political support at the city, county, state and national support was invaluable. Gain expert support – Only properties that meet the World Heritage criteria for Outstanding Universal Value can be considered for inscription. The NPS and the park leadership contributed their expertise behind the effort to nominate the missions. 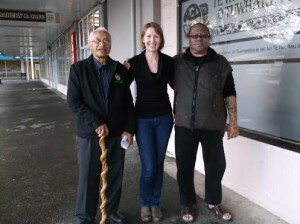 They helped convene an experts meeting 2012 to help frame the argument for World Heritage designation. They also hired an professional in preparing the dossier for presentation to the World Heritage Committee. Anticipate the Management Plan – Just as challenging in many ways as making the case for Outstanding Universal Value is developing a credible management plan for the resource. Particular difficult is to develop a buffer to zone to protect the property. While this might be easier in a discrete historic sites, the missions located in a complex urban and rural with multiple property owners. What made the management plan for the resource credible was all the historic preservation land use controls that had been implemented for the region over the last several decades. Be prepared to spend money – A World Heritage nomination is a pricey document. 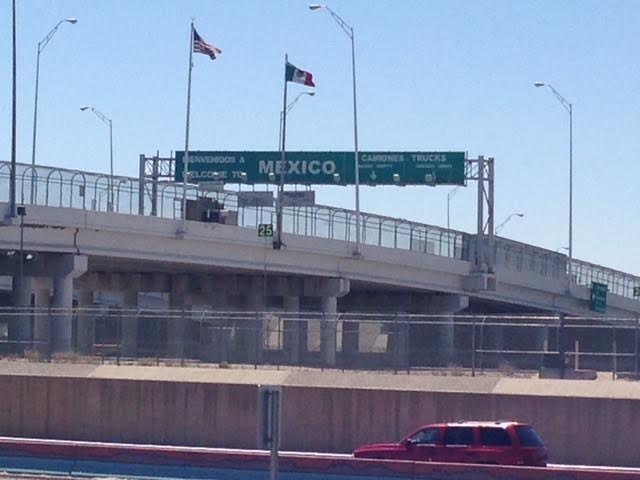 While the San Antonio supporter raised several hundred thousand dollars, they estimate that over half a million in in kind services were contributed to the effort. 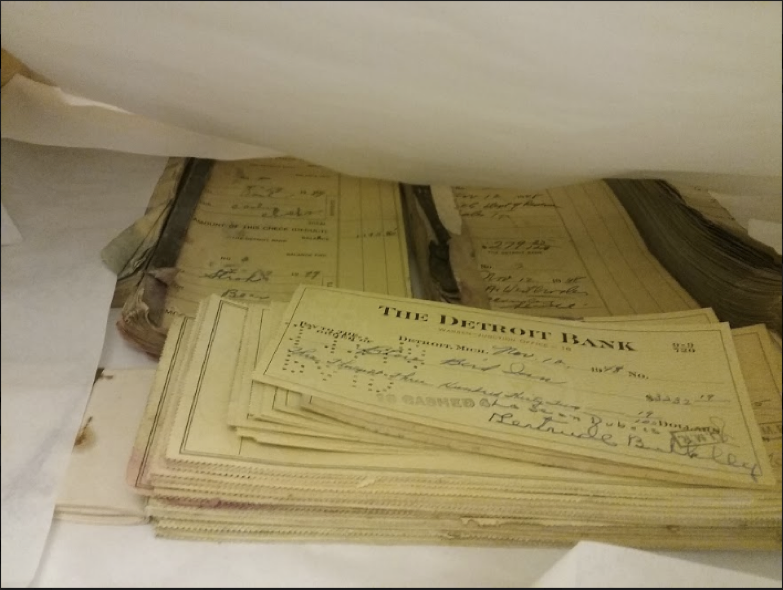 These included a NPS expert staff position In addition, much of lead writer and historian’s time was donated as well a, student interns and untold volunteer hours from the friends group and the Conservation Society helped reduce the costs. After designation the real work begins! – After a site is listed what is next? 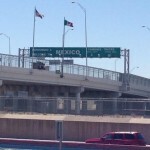 In San Antonio a community where tourism is economic development; the promotional opportunities of the designation are very important. However, the community is also using the designation to deepen their connection to the past and the heritage of its diverse citizens. 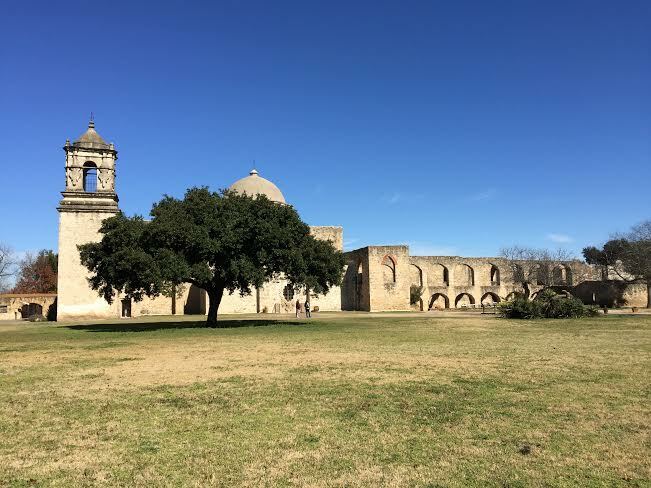 To learn more about ongoing programing on the World Heritage at the missions, visit the excellent San Antonio Missions Word Heritage *Our Heritage web site. Many thanks to San Antonio Missions National Historical Park staff Susan Snow who serves as the site’s World Heritage Coordinator and to Tom Costanos, Volunteer and Partnership Coordinator, both of whom gave generously of their time. All the wise words were from them, any errors are mine! Can Parks Organizations Continue to Ignore Social Values in Landscape Stewardship? ‘Social value’ is not a term that national park organizations in the United States, Canada and New Zealand have tended to use. In fact, when park organizations have ventured into the challenging territory of recognizing the values of people―it has generally been to consider the values of ‘traditional peoples and practices’ of a distant bygone era, or to subsume the social into the consideration of historic significance. I use social value here, to denote social connections, networks, place attachments—not necessarily related to historic significance, which can include various stakeholders, interest and ethnic groups, and can involve individuals and/or collectives. It is at this point where some might argue that national park organizations have the primary purpose of preserving nature and national identity—therefore, any consideration of social values which might destabilize this mission, or confuse its fixed and constant agenda, has no place within the remit of a national park organization. My response to this—is that an impression of this kind is exceedingly outdated, and it has been proven to be outmoded by the parks organizations themselves. For example, the US National Park Service is currently establishing an ‘urban agenda’ in time for its 2016 centenary, to address how the organization might better engage with its communities; and Parks Canada have been developing the ‘national urban park’ to embrace a less ‘pristine’ park environment in a populous Toronto area. These recent initiatives underline how park organizations recognize the need to evolve, and they demonstrate a growing interest in establishing closer relationships with the people who engage with their parks. Yet the initiative adopted by park organizations that I wish to discuss in more detail here, is the use of cultural landscapes as a tool for heritage management. Cultural landscapes are commonly described as being a bridge between nature and culture—they are places where natural and cultural heritage values collide, and for the last 20-30 years, the US National Park Service and Parks Canada have been leading the way in identifying and managing cultural landscapes as part of their cultural resource management programs. 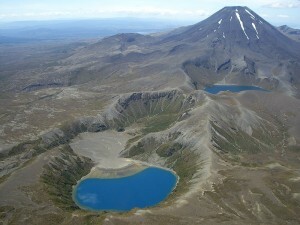 While in New Zealand, the Department of Conservation (DOC) holds the prestige of being the manager of the first cultural landscape inscribed on the World Heritage list in 1993. Nevertheless, while the embrace of cultural landscapes demonstrates the park organizations’ commitment to keeping up with changing perceptions of natural and cultural heritage, the way that cultural landscapes have been applied are heavily informed by static, entrenched policies of the past. These policies essentially negate the potential of cultural landscapes to promote new approaches to park management that recognize the way that people actively engage with their surroundings. For instance, the cultural landscapes management policies developed by the US National Park Service focus on how to manage the physical form of an assembly of cultural resources, and they organize cultural landscapes into ‘landscape characteristics’ that recognize mainly visible tangible aspects. Parks Canada follows a similar approach, where its cultural landscapes are made up of ‘character-defining elements’, and while it does also promote the notion of ‘aboriginal cultural landscapes’ as not so determined by the tangible, Parks Canada applies this independently from the ‘character-defining elements’ used in its non-indigenous cultural landscapes program. 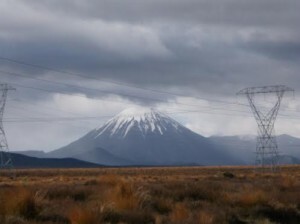 Then in New Zealand, DOC might be described as paying lip service to the social values of Tongariro National Park in its identification of it as a cultural landscape, while failing to recognize these values in the day-to-day management of the park. DOC supported the inscription of Tongariro National Park on the World Heritage list recognizing the associative values of the iwi (tribe) of Ngāti Tūwharetoa and their relationship to Mount Tongariro―which added to the park’s existing inscription for its natural values. Yet a recent Treaty of Waitangi report has found among other things, that the New Zealand government has disregarded the cultural and social values of Māori in carrying out the management of the park, and it recommends that the park be taken out of DOC control and managed in the future by a statutory authority made up of representatives from the government and Māori. Therefore, as we settle into the twenty-first century and prepare to welcome 100 years of the US National Park Service, there is a need for park organizations to include the public who represent their various park communities, in decision making so that there might be a new generation of joint ambassadors recognizing the social values of people in the landscape stewardship of the future. Wallace, P 2015, ‘Approaching cultural landscapes in post-settler societies: ideas, policies, practices’, submitted in fulfillment of the requirements of the degree of Doctor of Philosophy, Deakin University, Melbourne, Australia. Paulette Wallace is the recently named Executive Officer for the Australian Convict Sites, a serial World Heritage property made up of 11 sites around Australia. This article originally appeared in The George Wright Forum, vol. 31, no. 2, pp. 107–111 (2014). It is part of a wide-ranging series of pieces, “Letters from Woodstock,” by the author. I begin my eighth Letter from Woodstock by expanding upon a previous one (“Stewards of Our Heritage,” March 2013) that referenced preparations for the 2016 centennial of the National Park Service (NPS). In that Letter I suggested “broadening the emphasis beyond the parks themselves—to also highlight the many ways national parks and programs ‘preserve and support’ the well-being and aspirations of communities and people who use them.” I intentionally used the word broadening because an essential challenge facing NPS and almost all park and protected area systems is how to deliver high-quality public services and consistent stewardship but also be adaptable enough to remain relevant and responsive to the urgent needs and concerns of contemporary life. There is also a subtle shift in perspective: broadening a conversation that is often centered on what is best for the future of parks to a conversation that is expanded to include what is best for a larger set of social and environmental objectives and ways that parks, in collaboration with other institutions, can help achieve those objectives. I don’t take for granted (though I certainly won’t be around to see) that there will be a national park system to celebrate a third century in 2116. Though I am not inclined to either pessimistic or dystopian thinking, I have come to believe that nothing can be taken for granted; good work that has been done can also be undone. (As I write this, the Australian government, only a few months before the World Parks Congress convenes in Sydney, is repealing landmark legislation to reduce greenhouse gas emissions.). 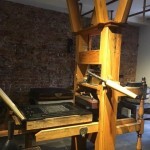 NPS, like many other public institutions, will continue to be subject to a variety of stress tests, evaluating things like resiliency and adaptability, purpose and meaningfulness, ecosystem and cultural services, collaborative relationships, and their overall relevancy to what people care deeply about. That is why the work being undertaken by the advisory board and by a number of national parks and partner organizations to broaden the usefulness and relevancy of the national park system is so vitally important. Here are a few examples. 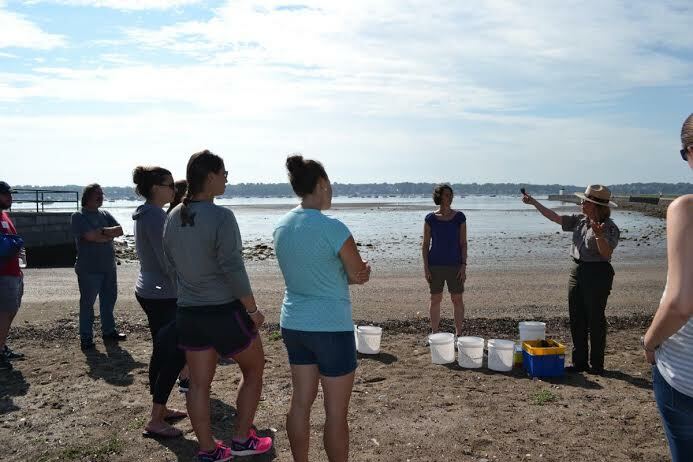 NPS, New York City, and a consortium of research institutions are using the Jamaica Bay unit of Gateway National Recreation Area as a living laboratory for testing new approaches for building climate change resiliency in urban coastal ecosystems. 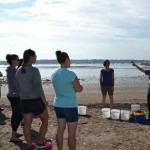 This is not the only place in the national park system where there is new thinking and research about climate resiliency, but given the devastation that Hurricane Sandy inflicted on the densely populated barrier islands of the metropolitan New York/New Jersey area, there is a particular sense of urgency to the Jamaica Bay project. I have described in a previous Letter how the partnership between the Presidio Trust, NPS, and Golden Gate National Parks Conservancy is breaking new ground on integrating sustainable city living, historic preservation, and park design at the Presidio of San Francis- co, including the first national historic landmark property to be certified by the US Green Building Council as “LEED for Neighborhood Development” for “smart growth, urbanism and green building.” This ambitious re-purposing of vast military holdings for public benefit and use is only part of the story. Concurrent with this great transformation, an extraordinary bond is being forged between these national parks and people and communities of the San Francisco Bay Area, drawing the attention of park and protected area managers from all over the world. On a very different scale, there is the interesting example of New Bedford Whaling National Historical Park’s Youth Ambassador Program (YAP! ), a partnership project between NPS and Third Eye Youth Empowerment, a nonprofit dedicated to “building community and national pride through a series of learning experiences, skill development and real proj- ects … to improve the community, centered on the principles of economic and social equality.” The mission of the Youth Ambassadors is to “unite young people, utilizing Hip Hop, a common cultural art form and voice for the people, to engage and empower youth to positively change themselves and their community.” Working with New Bedford Whaling National Historical Park, the Youth Ambassadors are producing a series of music videos, including their powerful hip-hop video “54,” about the 54th Massachusetts, the African-American regiment recruited by Frederick Douglass during the Civil War. 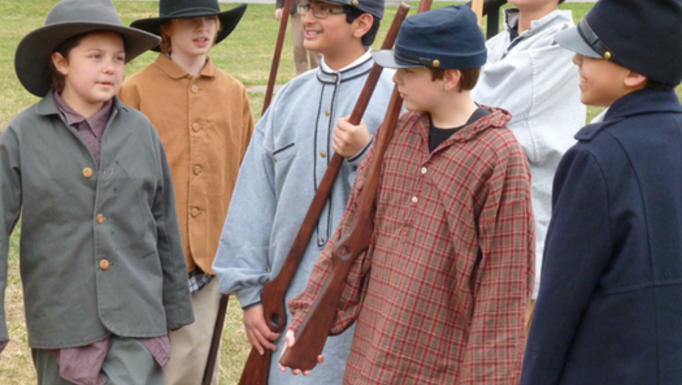 The young performers infuse the narrative with their own distinct voice and message using an evocative, if unorthodox, interpretive format, making this compelling “Civil War to Civil Rights” story accessible to their friends and peers. NPS is embarking on a landmark systemwide effort to develop what is being called an “urban agenda.” This urban agenda, is in part, an outgrowth of the 2012 conference titled “Greater & Greener: Re-Imagining Parks for 21st Century Cities,” organized by the City Parks Alliance in partnership with the New York City Department of Parks & Recreation. An “affinity caucus” of NPS conference attendees, mostly from urban national parks, joined NPS Director Jon Jarvis to initiate an ongoing participatory process for identifying policy changes that will enable NPS urban parks and programs to “step into their power” with the intent of becoming a larger, more relevant part of urban life in America. The scale of current NPS urban activities may come as a surprise to many people. Beginning in the early 1930s, Congress has gradually expanded the urban footprint of the National Park Service, establishing new units of the national park system in 40 of the country’s 50 most-populated metropolitan areas. Today, these national parks make up nearly one-third of the entire park system and draw approximately 40% of all national park users. The NPS National Capital Region and its 34 national parks in and around Washington, DC, for example, serve an urban population of more than five million people. 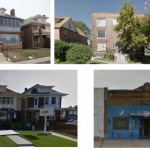 Congress has also authorized more than two dozen different NPS programs providing urban communities with a wide range of services, including historic preservation tax credits, recreation grants, and conservation technical assistance. 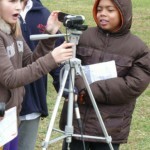 Throughout this process of developing the urban agenda, the NPS Stewardship Institute (formerly the Conservation Study Institute) has been coordinating and documenting a series of webinar conversations with “communities of practice”—self-selecting groups of urban park practitioners—focusing on specific subjects such as urban innovation, economic revitalization, connecting youth to nature, and urban parks as portals for diversity. Attention tended to focus on what I might call “nuts and bolts” problems: how to streamline the use of legal authorities for leasing and cooperative agreements and how to align NPS funding and program priorities to concentrate available resources for greater impact. Lessons learned are shared for a variety of relatively new NPS-sponsored, community-based programs dealing with public transportation, safe routes to school, urban gardening, and partnerships with health providers. There is also an imperative to build a stronger “culture of collaboration” in which NPS operates as one partner among many. Underpinning all these discussions is the implicit vision of NPS as a “catalyst for civic renewal” consistent with the overall direction of Second Century Commission, the NPS director’s Call to Action, and the work of the National Park System Advisory Board. The urban agenda is still very much a work in progress that will have to surmount competing interests and priorities, political jockeying, and bureaucratic inertia. There is also a danger that 2016 NPS centennial activities and a looming national election may, in effect, swamp it. There may also be internal resistance. Some may choose to interpret relevancy primarily in terms of making a fixed set of traditional park experiences more widely accessible rather than exploring ways to expand those experiences in order to engage a broader cross-section of the public (think “54”). Nearly 40 years ago, while I was working on the startup of the Golden Gate national parks, I clipped a Sierra Club Bulletin commentary by Jonathan Ela hammering NPS and other administraton officials for reversing previous support for urban national parks and testifying against making Cuyahoga Valley, located between the cities of Cleveland and Akron, Ohio, part of the national park system. Drawing by Steven M. Johnson. 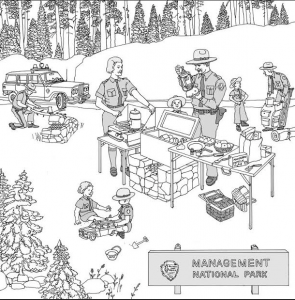 Contending that NPS personnel appeared at that time more comfortable with park users that looked and acted just like they did, Ela illustrated his article with this drawing by Steven M. Johnson (reproduced with permission of the artist). National parks may also come to over-rely on their social media and marketing as substitutes for personal engagement and the patient hard work and risk-taking that builds trust and meaningful long-term relationships between parks and communities. Protecting parklands within clearly defined boundaries has always been a core function of the agency and it will no doubt be a challenge getting people to see an investment in “civic renewal,” particularly as budgets contract, as a central strategy for the long-term survival of national parks. Even under the most favorable circumstances, moving an urban agenda forward will be difficult. There is a recurring concern that any reform, however desirable, might set a precedent that unintentionally provides an opening for parties with interests inimical to na- tional parks to do harm. Such concerns deserve careful consideration, and risk-taking must be judicious, yet the alternative of always playing it safe and resisting change has significant downstream dangers. A 21st-century agenda for urban national parks is, in many fundamental ways, an agenda for all national parks. The National Council on Public History held its annual meeting last week in Nashville, Tennessee, bringing together over 800 members dedicated to encouraging collaboration among historians and their public. I participated in one particular working group that focused on National Park Service administrative histories. The NPS uses these documents to understand the agency’s involvement in a particular park, office, region, or program, and help with future management decisions. In the months leading to the conference, members of the working group contributed thoughts to a Google Doc about how the NPS might revisit its guidelines, last written in 2004, and think “beyond the administrative history.” In other words, how can we make these documents more usable? I was happy with the group’s diversity and impressed by the participants’ credentials. Everyone present had extensive experience with writing, reviewing, or using these documents. 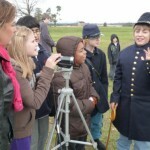 There were consultants, park historians, regional historians, and scholars. Okay, I guess I still count as a graduate student, but I’m trying to move beyond that label. We discussed three questions and I’ll share some of our thoughts that stick out in my memory (I didn’t take notes). What makes an administrative history useful? Administrative histories tell the park’s story; every manager should know hers/his park’s story. An administrative history should show where the “land mines” are buried, where the past and potential controversies lie. These histories should help with compliance, but also tie to larger historical narratives. I also argued that an administrative history, when done right, can be a road map for civic engagement, especially when it shows how the NPS marginalized or excluded certain groups. What do we do with administrative histories when they are done? A common and legitimate complaint is that once completed, many administrative histories are doomed to languish on a shelf or in a box. We discussed (as many have over the years) of having a searchable database for this literature group with special tags. We also considered several different “add ons” that might be included in contracts or funded later through ONPS CR funds marked for “Transfer of Knowledge.” These additions can include workshops and training for personnel about the document, a place for admin history authors at the table for concurrent or future park planning initiatives, videos for the web, or other interpretive content. 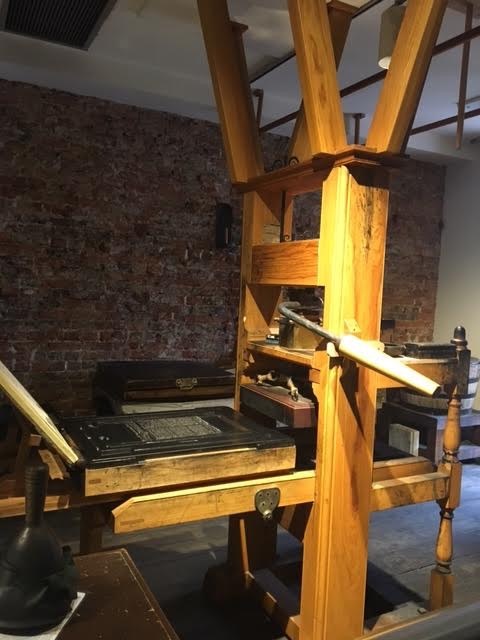 We didn’t get into who owns the research, but I think it is important to talk up front about the possibility of publishing in academic journals or with university or trade presses. These all require a good deal of foresight. I also encouraged the group to think beyond the traditional monograph as the final product for these studies. Can we possibly do digital projects (such as this one on the Blue Ridge Parkway), videos, or something else instead? What are the future directions with administrative histories? Looking at the agenda, my memory of this part of the conversation is less clear. However, my major point from reading the discussions on the Google Doc is that park managers need to recognize that administrative histories are a process, not a one-and-done product. There are things parks can do while they wait for an administrative history project to be funded. I think this is where graduate students can be a big help. 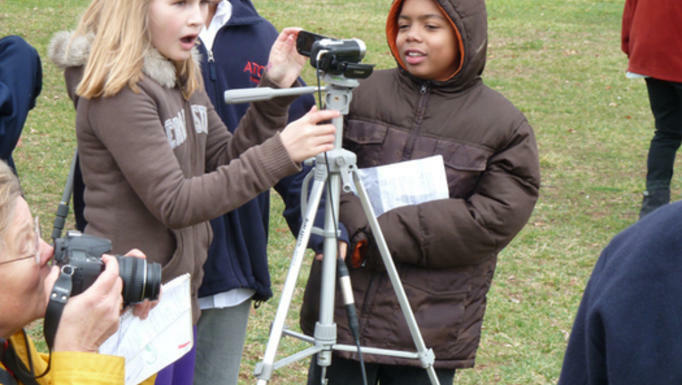 They can examine bits and pieces of a park’s history through research papers, theses, and dissertations. However, for this to be successful for both the agency and the student, the NPS needs to provide some measure of support and treat these studies as legitimate agency literature and scholarship. I’ve noticed an attitude within the agency that if they did not spend a bunch of money on a project, it somehow doesn’t “count.” That is a disservice to the student, the park resources, and the public the agency serves. A good partnership can mean that a contractor will have less ground to cover if they can build upon accumulating literature. Moving forward from our meeting in Nashville, the NPS will hopefully incorporate our ideas into its guidelines for administrative histories, which it is currently reviewing and revising. Group facilitators will also summarize our discussions in a History at Work post. Finally, an upcoming edition of The Public Historian will focus on NPS biographies. Are administrative histories important to your work? How do you use them? How might the NPS make them better? 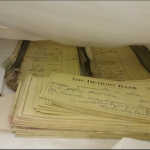 Ed note: Interested in reviewing some NPS administrative histories? npshistory.com has a good list here. 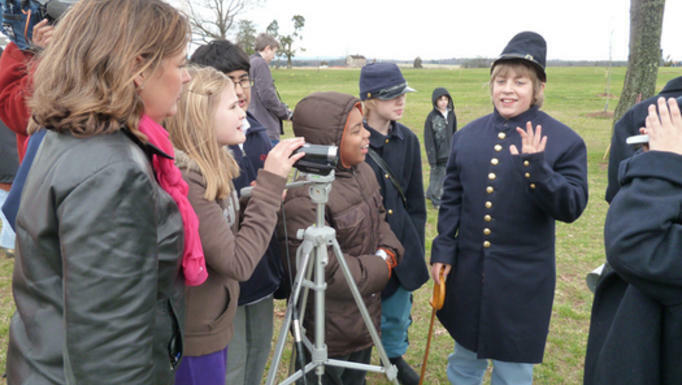 Angela Sirna received her PhD in Public History from Middle Tennessee State University in April 2015 and is currently working on an administrative history of Stones River National Battlefield. 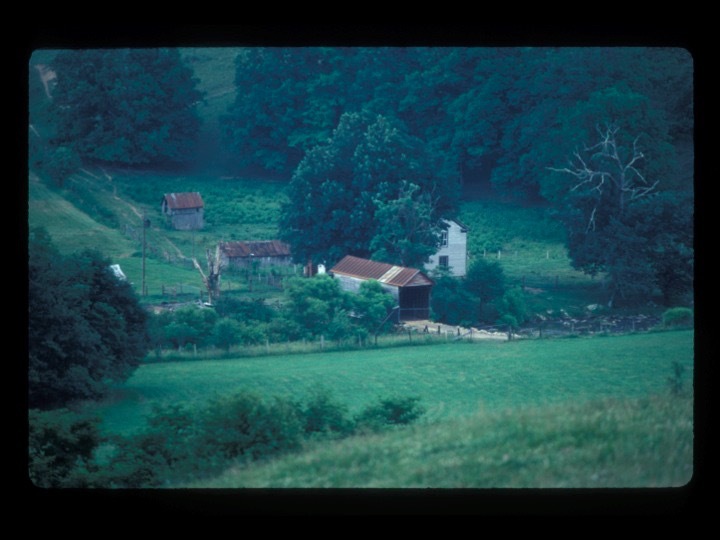 Her dissertation traced the development of Cumberland Gap National Historical Park from the New Deal through the Great Society. Angela also served as the Public Historian in Residence at Catoctin Mountain Park in 2013-2014 and completed a Special Resource Study on human conservation programs at the park throughout the twentieth century.